How To Create a Sitemap for Videos? Yesterday, we talked about how showing Video Previews in search results can boost your click through rate. In getting your Rich Snippet Video Previews into Google Search Results, a necessary step is to create a video sitemap, and then submit it to Google. While there might be some free online tools to do the job for you, they aren't all very convenient to use. And there's no dedicated plugin for this kind of job for free either. That pretty much leaves it upto you to create a sitemap manually, and submit it to Google. in this post, we'll walk you through creating a basic sitemap that will get the job done for you. A video sitemap tells Google exactly where, and what the video content is on your site. It helps Googlebots recognize video content, and display it in the relevant search results page. But let me make something clear from the beginning; there is no saying for sure whether your video will be picked up or not. According to Google itself: "Google doesn't guarantee that all videos included in a Sitemap will appear in our search results, or that we will use all the video information included in your Sitemap." Guarantee or no, it is, however, the only way to get video previews into search results. So let's get started! A sitemap file is basically a text file that utilizes the Google Sitemap Protocol with video-specific tags in it. It contains a bunch of lines of code, which is really easy to understand. Let me show you the code first, and then I'll explain what it all means. This is the bare minimum amount of code you need to add in a video sitemap. The Bold text indicates things you can change, for example Video title, URL, description etc. Given below is an image of the same code in a text editor to give you a better understanding through proper indentation. It is a snapshot of a complete XML file that has two entries, one which is the same as the code given above, and the next demonstrating an example. The first line of code just declares the XML version. It isn't necessary, but is considered as a best practice. <urlset> - Just like an <html> tag encloses an HTML document, similarly, the <urlset> tag encloses such a sitemap. It includes to links with the sitemap protocol markup. You can copy it as it is. <url>- For each new video entry, there must be a separate <url> tag. You can see two url tags in the image above. <loc> - In every URL tag, there must be a <loc> tag and a <video:video> tag. The <loc> tag specifies the URL of a landing page the video is displayed upon. This could be a post, or a separate page as well (see the example). <video:video> - The <video:video> tag encapsulates some video attributes such as Title, URL, Description etc. The <video:thumbnail_loc>, <video:title>, and <video:description> tags are pretty straightforward. You just need to tweak those according to your Video. The next bit is a bit tricky. You can either specify the raw URL of the video file, or you can provide the URL of the video on a video player. So you have a choice between line 9 and 10. You can use one of these options, but not both. However, the raw URL is usually preferred. There are other things you can specify as well, such as video duration, rating, family-friendliness, etc. But Google won't show all of that data. So these few tags are the most you're gonna need. However, if you want to include more information about your videos, you can see a list of all the tags on Google Webmaster Help page. Following are a few guidelines and things to remember when creating and submitting a Video Sitemap. Make sure the video link you provide is public, and is working properly. Google won't guarantee your video's inclusion in search results, but they definitely won't be included if the link doesn't work properly. 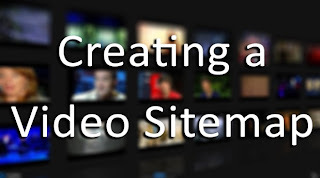 You can include a maximum of 50,000 videos in one sitemap. For more videos, you will need to split your sitemap into different parts. Google only recognizes the following formats; mpg, .mpeg, .mp4, .m4v, .mov, .wmv, .asf, .avi, .ra, .ram, .rm, .flv, and .swf. The videos must be accessible via HTTP. As far as submission goes, you can submit your sitemap via Google Webmaster Tools. We already covered that topic in more detail in another post. Make sure you check it out.